Negba’s team consists of passionate and dedicated professionals, experts in their respective fields, who are fully focused on meeting the needs of the children in Negba’s care. The team works closely together in the shared goal of helping Israel’s children at-risk reach their potential. As CEO of Negba since 2009, Hannah is directly responsible for the development of programs and new ventures with the local authorities and for overall programs operation and supervision. Hannah draws on a 30 year career in both formal and informal education, in Israel and France. Raised in Israel, Hannah spent many years living in Paris, where the Geissmann home was renowned. Local boys and girls were trained for their Bar and Bat Mitzvot there and Jewish visitors to Paris were welcomed for Shabbat meals. As Judaic Studies and Hebrew Language Principal of the Rambam School, Hannah developed curricula, taught, recruited, trained and managed a staff of over 20 teachers. When the time came for her sons to join the army, Hannah returned to Israel with her family and worked for project Naaleh in Kfar Pines, where she was responsible for preparing students for successful completion of matriculation exams in a variety of subjects. Concurrently, Hannah also worked for the Foundation for Commemoration of the Holocaust in France, coordinating the committee’s processing of applications to fund educational projects. Hannah has also worked for “MeBreishit,” a Jewish study program for worldwide youth & parents, where she edited the material for the French audience and ensured its distribution in France. Hannah holds several degrees in education and has extensive background in integrating educational objectives among parents, children and teachers, serving her well in her position at Negba. 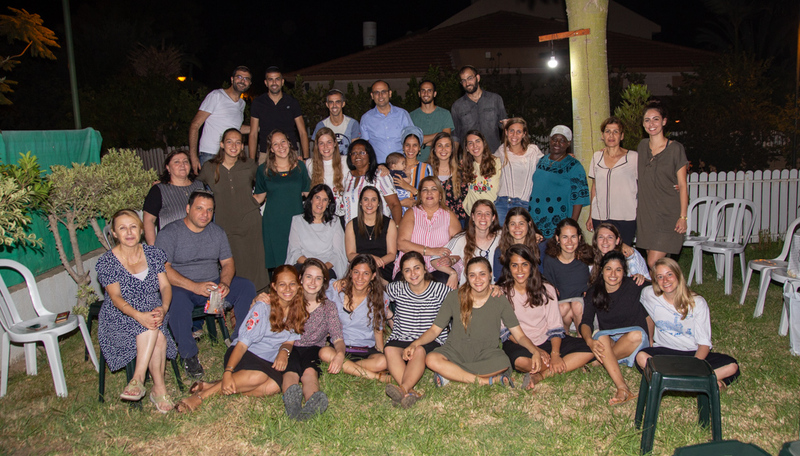 For Hannah, her work in Negba is the realization of a long term aspiration to use the knowledge and skills she earned in her extensive work abroad, towards the goal of advancing education and improving society in Israel. Young Israelis aged 18-20 performing National Service in lieu of army duty volunteer at Negba for 1-2 years and form the backbone of Negba’s volunteer ranks. Professionals trained in the area of informal education.